Can Brad Smith push Nouhou to his potential and give Sounders the attack they need? The Sounders on Wednesday added left back Brad Smith on a loan from English Premier League club Bournemouth. Smith is expected to not only push incumbent Nouhou for playing time, but will likely team with him at times along the left side by bumping up to a wing position. Fixing the biggest Sounders offensive declines from their past two finalist seasons has been seen by the team as largely a two-pronged issue. The one that got all the public attention was resolved a few weeks back when Peruvian striker Raul Ruidiaz was signed to a multiyear deal as a replacement for the injured Jordan Morris. But the next biggest, in the team’s eyes, was a tougher fix requiring some finesse given it involves a second-year player in Nouhou the Sounders hope to keep for years to come. Simply put: Nouhou at left back has yet to supply anything like the attacking threat once posed by Joevin Jones before his January departure. 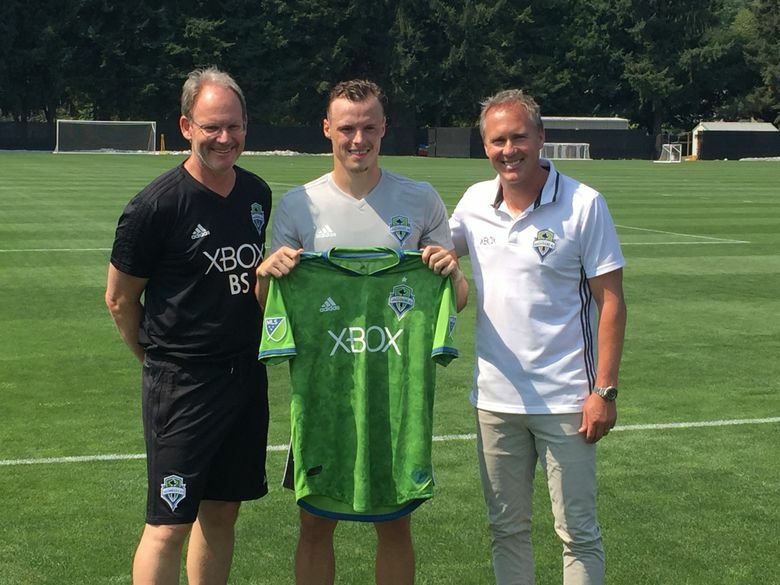 So the Sounders, unwilling to replace Nouhou’s raw talent, did the next best thing Wednesday by bringing in Brad Smith on loan from the English Premier League to push their Cameroonian youngster like he hasn’t been thus far. Schmetzer was referring to how he’ll juggle playing time between not only Smith and Nouhou, but also veteran Waylon Francis on a team unbeaten in its past seven. Francis has had his struggles this year and been frustrated by a lack of playing time, but looked strong the final 45 minutes of a win over Minnesota last Saturday after Nouhou was pulled at halftime. Though Nouhou has improved overall since the season began, the Sounders have been frustrated at times by his more mercurial exploits. They include being caught out of position defensively, taking some questionable fouls, embellishing too obviously when opposing players make contact with him and also not executing offensively the way Jones had. Last year, Jones – who also could be enigmatic at times – scored one goal while adding the second highest team total in assists with 11. He was so good as an attacker that the team pushed him up a line to left wing and had Nouhou start at left back in behind him during their stretch run into the MLS Cup final. This season, Nouhou has yet to log a single point in 19 appearances – 17 of them starts. Francis has a lone assist in his seven appearances. So in comes Smith, 24, the fullback from EPL squad Bournemouth by way of Liverpool who can also double as a winger the way Jones did. This way, the team can either bench Nouhou when his game starts lapsing, or even reward him with left back starts while Smith takes over at left wing. “I feel like it’s more fast-paced in England and I feel like — if you can get the team you’re with to push like that and make the pace faster — I think the team can do really well,’’ Australian native Smith said. That part remains to be seen, as visa issues will keep Smith from featuring against FC Dallas this Sunday. But he said he should be ready to take on the Los Angeles Galaxy at home the following weekend. Sounders vice president Chris Henderson confirmed that having Smith and Nouhou in a tandem along the left flank and wing – like Nouhou and Jones did a year ago — is something the front office discussed before making the move. Henderson added that creating more competition at the left back spot – as the team already has at center back with Chad Marshall, Roman Torres and Kim Kee-hee – can only help get the most out of players not wanting to be the odd man out. 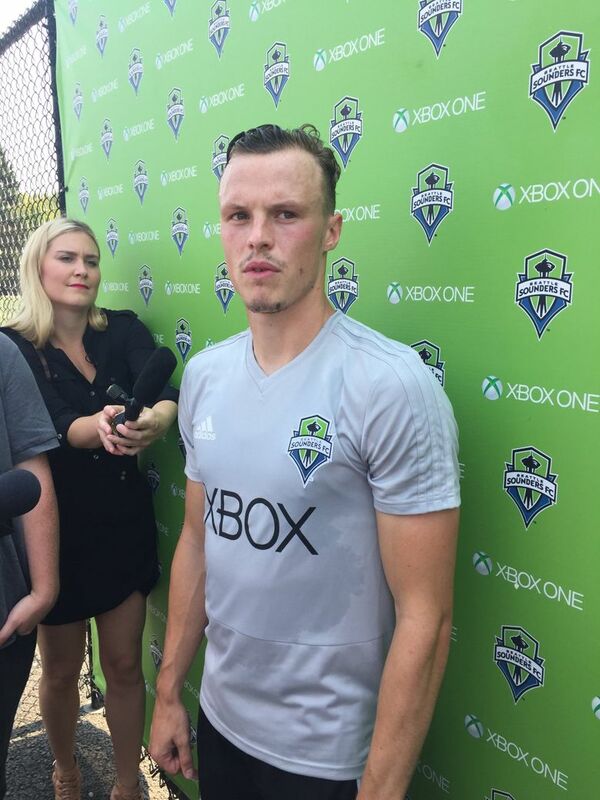 Asked about the Sounders missing all the assists Jones once gave them, Henderson said of Smith: “Brad is a guy who comes forward and he can connect with players. When everyone’s healthy, we have a super competitive team and we have guys that can set up other players. The Sounders aren’t completely healthy heading into Sunday’s clash with a Western Conference-leading Dallas squad that beat them 3-0 in March. Victor Rodriguez still has hamstring issues, while Clint Dempsey is dealing with back problems. Nonetheless, midfield depth is solid for now with Harry Shipp and Cristian Roldan able to step in for both during this 5-0-2 run.